There are slight differences between Dynamics 365 and Dynamics AX On-Premise; however, if Dynamics AX On-Premise has any capabilities that benefit your business, know that Dynamics 365 can do the same thing with built in mobility as it is written in HTML 5. Need help deciding which Dynamics ERP product is right for your business? Examine our Dynamics 365 FAQ & Dynamics AX FAQ to have all your questions answered. In order to save you time and to be helpful in your journey in selecting ERP, we have assembled most of the frequently asked questions in one place. Please click the title: Dynamics Cloud FAQ or Dynamics AX On-Premise FAQ above to navigate through to the content that fits your business best. How does Dynamics 365 stack up against other ERP software? Dynamics 365 is considered a leader in functionality and usability. Read the Nucleus report detailing their external research on ERP providers. How to buy and License Dynamics 365? Dynamics 365 is sold and implemented through Value Added Resellers who have earned the Cloud Service Providers (CSP), distinction through Microsoft. CSP’s (such as Clients First) will issue and help you implement your license of Dynamics 365. Additional connected apps, users and Independent Software Vendors (ISV) add-ons can also be licensed through your partner. We recommend consulting a Dynamics 365 Partner such as Clients First who has experience working with the product Axapta which has evolved into Dynamics 365 since its inception in 1998. This ensures adequate experience in deploying the system for finance and operations. (Call 800.331.8382 for immediate assistance). Dynamics 365 for Operations subscriptions are available as an a`la carte product or in a package deal with CRM and other service centered applications. The cloud and hybrid deployment options are available for purchase now for 20 or more users. 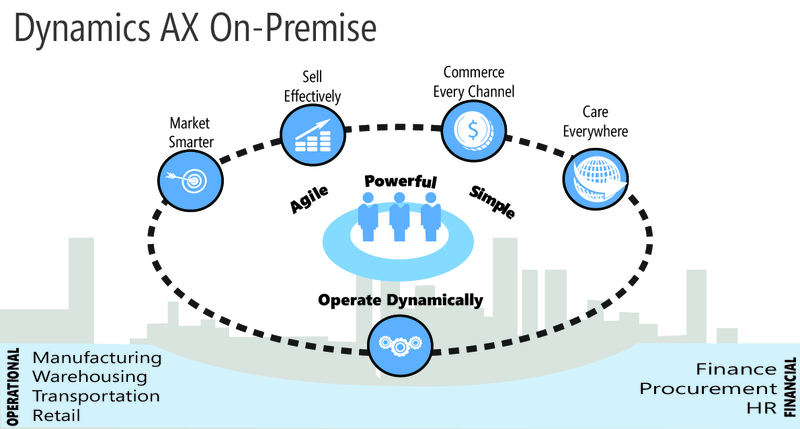 If your company prefers an on-premise solution, Dynamics AX On-premise can be optimized for mobility. What modules do I get when I buy Dynamics 365? You get them all! Work with your Partner to determine what Subscription Licence (SL) you need to purchase: Enterprise; Task; or Self Service. You and your Partner can also work together to decide what modules you will implement. As you grow or your business changes you can implement more of the Dynamics 365 functionality. Can you integrate 365 with [fill in any product here] ? Yes. Dynamics 365 is one of the best ERP systems for integration. The software integrates tightly with office 365, and web services as it exposes and supports Open Data Protocol otherwise known as OData. These three ingredients work with Common Data Service – an intermediary bridge database between systems. As a simple example, an Excel spreadsheet trigger can be created, allowing an Excel spreadsheet to upload into your ERP after said trigger occurs. These triggers can be used for Field Service, Customer Service, Operations, Project Service Automation, and Marketing. It provides a simple and uniform way to share data in a discoverable fashion. Can you customize Dynamics 365? Yes as long as there is an app for that. While there is convenience and flexibility that comes with cloud-based enterprise resource planning (ERP) technology in particular Dynamics 365, the technology requires applications or Apps to deliver some of the functionality once given by Value Added Resellers. Let me explain further, if your business needs customizations, the code could be changed in AX by your VAR or Microsoft Partner. Dynamics 365 on the other hand is encapsulated, and any desired changes are made through apps. Clients First is AppSource Developer. How is Dynamics 365 supported? Dynamics 365 is best supported through your Dynamics 365 CSP Partner and Life-cycle Services. What is the average implementation time of Dynamics365? Compared to other ERP competitors, Dynamics 365 has an lower than average implementation time of 10 months, lower cost of implementation, and lower risk in implementation due to Life-cycle Services. What reporting functionality is available with Dynamics 365? Information access is an essential part of an ERP solution and represents a significant portion of the user engagement with the system. Consider the numerous methods of capturing information related to daily activities and the level of investments required to manage the data. Employees depend on logical interpretations of massive amounts of data to stay on top of their daily tasks. Out of the box the Dynamics 365 for Operations platform provides mainstream reporting solutions to address the various information access needs of an ERP solution such as Excel, SQL Reporting Services (SRS) as well as Power BI. Power BI features drag and drop reporting functionality available based on role within company. Your Dynamics 365 CSP Partner can develop customized dashboards for your employees, or you can experiment with it yourself. Are there reasons to not select Dynamics 365? 1) Your business model needs control of your: data, data residency, and data isolation. 2) Your business information fluctuates faster than the stock market so dependency on speed and connectivity is extremely high to ensure business continuity. 3) The business processes require the ability to customize the service infrastructure of the ERP system to meet specific business needs. 4) Your company has recently invested in data center resources. Still Have More Questions about Dynamics 365? Dynamics 365 Enterprise is Now On-Premise Too! How does Dynamics AX stack up against other ERP software? Dynamics AX is considered a leader in functionality and usability for manufacturers, job shops, and project based accounting. Read the Panorama report detailing how and why AX is shortlisted and selected most often. 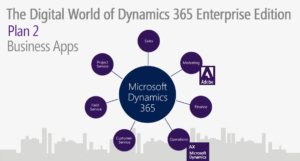 How is Dynamics AX Bought and Licensed? Can you integrate AX with [fill in any product here] ? Yes. We’ve successfully integrated Dynamics AX with SAP, Salesforce, EDI, and many others, just to name a few. As a matter of fact, Dynamics AX can also be integrated with any application, including mobile. See our Dynamics AX Mobile App page for more information on enterprise mobility and custom mobile applications. How does my company purchase Dynamics AX? How is Dynamics AX supported? 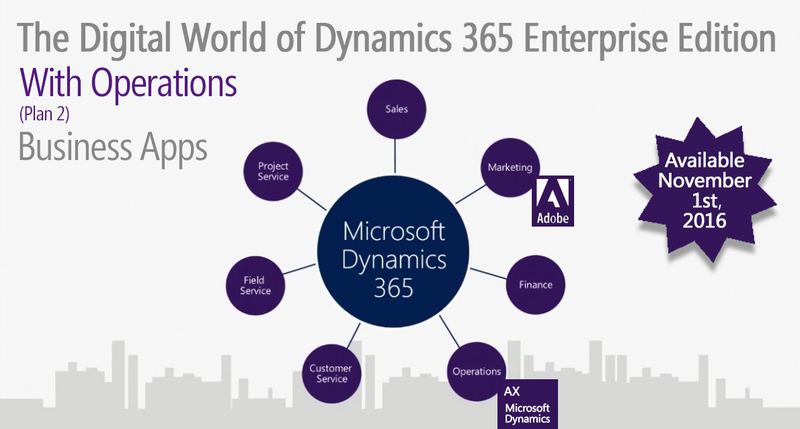 Dynamics AX is best supported through your Dynamics AX Partner. This is why it is important to research and know your partner’s credentials. Although Clients First’s AX partner locations are in Dallas/Fort Worth, Texas, and Minneapolis, Minnesota we support clients nationally and globally. What is the average implementation time of Dynamics AX? Compared to other ERP competitors, Dynamics AX has an lower than average implementation time of 10 months, lower cost of implementation, lower risk in implementation due to Life-cycle services, and higher customization abilities allowing for company wide satisfaction and user-satisfaction. What modules do I get when I buy Dynamics AX? You get them all! Work with your Partner to determine what Client Access Licenses (CAL) you need to purchase; Enterprise, Functional, Task, or Self Service. You and your Partner can also work together to decide what modules you will implement. As you grow or your business changes you can implement more of the great AX functionality. These two brochures explain what is included with the software purchase. What if my company does not want to upgrade, but still needs more functionality? Clients First has been working with Dynamics AX since it was called Axapta in 1998. We can support and customize Dynamics AX 4.0, AX 2009, AX 2012 to the present release, Dynamics 365 for Operations. What about support plans? Are they required? We recommend staying on the Microsoft annual support plan for several reasons: You can not purchase any additional licenses and the upgrade to future releases will require a re-purchase o the software. However, Clients First can discuss your goals of streamlining expenses by implementing ERP and help you decide if a support plan is in your best interest . We have been around since the infancy of ERP, if you need help, call or email us. 800-331-8382. Is Job Scheduling Part of AX? Master Planning within AX schedules jobs and resources at the same time it plans for inventory requirements. AX offers the ability to record skills, competencies, certificates as well as working calendars to each employee thus providing Master Planning with the information it needs to do powerful scheduling. AX also offers several tools for assisting with scheduling changes when needed. The tools include but are not limited to visual capacity loads, Gantt chart scheduling as well as job re-sequencing options that can be performed on a touch screen. Graphical scheduling tools are stronger in one of our partner solutions from Dynamics Software. An overview of the capabilities is attached. We can show you standard AX and the solution from Dynamics Software for your comparison. What Reporting functions are available in Dynamics AX? Dynamics AX reporting allows users to manage reports with extensive options. Reporting is flexible and based on your organization’s specific needs. The business intelligence and reporting features of Dynamics AX allow key decision makers to analyze factors that affect your bottom line with flexible and customizable analysis tools. These Enterprise Resource Planning (ERP) capabilities not only allow users to share information across departments, but the entire organization. The business intelligence solution in Microsoft Dynamics AX On-Premise uses Management Reporter and Microsoft SQL. Microsoft SQL Server Reporting Services: Give employees instant access to information with built-in reports using Microsoft SQL Server Reporting Services. Automatically generate custom reports with Microsoft SQL Server Report Builder, an ad hoc query tool. Access a wide variety of standard reports (more than 800) including analytical reports. Microsoft SQL Server Analysis Server: Drive actionable insights to people across the enterprise using easy-to-use online analytical processing (OLAP) an data-mining capabilities. Microsoft Dynamics AX On-Premise provides preconfigured data cubes for key business areas. Employees can easily access the data from KPIs in their Role Center or directly from Microsoft Excel. Management Reporter: Create boardroom-quality reports without IT assistance, consolidate across both Microsoft Dynamics ERP and other general ledgers, and take advantage of secure report distribution and storage through the centralized Report Library. Power BI can be purchased as an add-on product for Dynamics AX On-Premise. Can Dynamics AX import materials and operations from Excel? Does Dynamics AX allow for user defined Excel reporting? Yes, there are many options here including the use of filters and pivot tables. We can show you the power of this feature during a demonstration. Can Dynamics AX comparing historical costing data and labor hours for establishing standards and KPI? Within Inventory Management, there is a Variance Analysis Statement that shows this information in detail. The report does have drill-down capabilities. Does Dynamics AX have job specific cost analysis – Estimated vs Actual in table format with drill-down capabilities to easily see where differences lay? That type of reporting is available within Project Accounting. 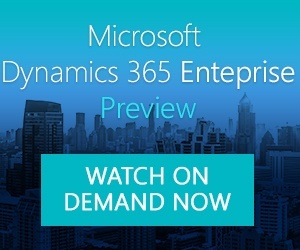 Watch how Dynamics AX translates this data straight into the general ledger. 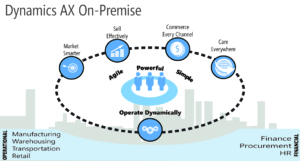 Still Have More Questions about Dynamics AX On-Premise?